Life Fitness X5 Elliptical Cross-Trainer combines style with superb workout. It has Life Fitness' revolutionary SelectStride technology which allows adjusting of the stride length for different-sized users in the household or to target different muscle groups. This elliptical cross trainer has sleek style and quiet motion which make it very attractive . It can be paired with the Track Console for tracking and entertainment features to keep you motivated and enhanced customization to better help you reach your fitness goals. ToughTrain 3.5 out of 5 Can be a smart choice if bought in a discounted price, as it have all new features and an attractive warranty. *Note: Most of the sites, stores or shopping portals listed above sell Life Fitness X5 Elliptical Cross-Trainer with discounts and other exciting offers. There is a possibility that the some of above websites are not selling Life Fitness X5 Elliptical Cross-Trainer now. Toughtrain.com is not liable for such cases or instances. 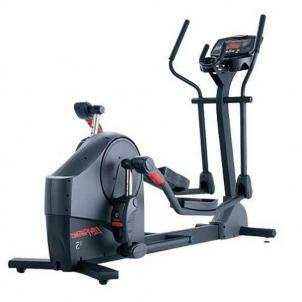 Also we do not recommend any seller for Life Fitness X5 Elliptical Cross-Trainer and a buyer should buy from where he/she gets best deal with quality of products, service and on time delivery (shipment).